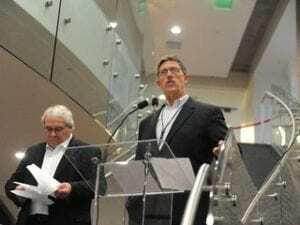 Despite heavy rains and high winds on Wednesday evening, a sizable crowd gathered at the Taylor Building in downtown Salinas to mark the first anniversary of the Western Growers’ Center for Innovation & Technology (WGCIT) with a ceremony and open house. 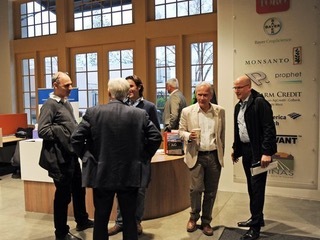 The event attracted movers and shakers in the private and public sectors including government, agriculture and ag tech startups housed inside the incubator. Monterey County Supervisors Luis Alejo and John Phillips attended, along with a representative from Assemblywoman Anna Caballaro’s office, Salinas Mayor Joe Gunter, City Manager Ray Corpuz Jr. and agriculture executives such as Bruce Taylor of Taylor Farms and Lorri Koster of Mann Packing, also were in attendance. 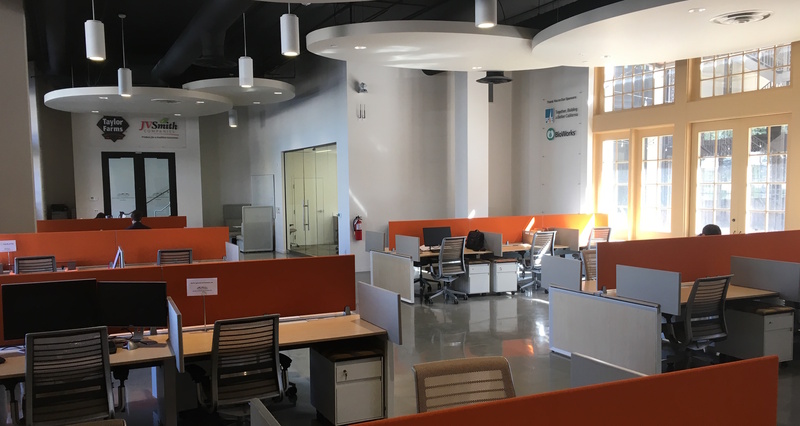 The Center for Innovation & Technology — housed in the Taylor Building — started with six startups when it opened in December 2015, and has now grown to 27 ag tech companies. The companies include winners of the THRIVE Accelerator – a competitive program started by Silicon Valley-consulting firm SVG Partners with corporate partners including the city of Salinas, Land O’Lakes, Verizon, Wells Fargo and Taylor Farms. Winners receive mentorship, a space in the incubator and other assistance. “We’re proud of our startups,” said Giclas, who pointed out that, for example, Trace Genomics co-founder Diane Wu was recently named one of Forbes’ “30 under 30” for science. A growing number of startups are homegrown, such as Concentric Power, started by Brian Curtis who was raised in Salinas. Concentric is in hiring mode with six open positions including engineers. Curtis launched Concentric five years ago, but opened a second office in the center to expand its presence in the Salinas Valley. “It raised the level of credibility for us in certain ways, and kind of shifted our center of gravity to Salinas,” Curtis said. Perks include proximity to Silicon Valley and stay more connected to the customer base. Moving forward, the Western Growers’ Center for Innovation & Technology wants to be more strategic, Giclas said. For example, it is keen on exploring potential partnerships globally. Giclas connected with a variety of companies during a delegation to Israel over the summer. He envisions collaboration with other incubators or academic institutions. Moving forward, three areas of focus are food safety, automation and water management. The center’s leaders are also setting specific metrics. 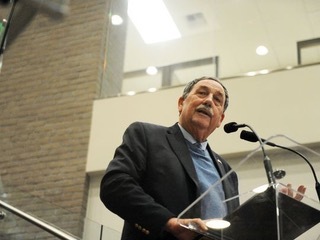 Gunter said the center has given the city added exposure. Ag tech is one of the city’s prime focuses when it comes to economic development. Agriculture is a key economic engine in Salinas Valley with the industry estimated at $9 billion. The city continues to retain SVG Partners as a consultant to help boost ag tech through Thrive AgTech programs, and for a third year in a row Salinas is hosting the Forbes AgTech Summit. That said, cities such as Fresno in the Central Valley and Irvine in southern California are also vying for a piece of the ag tech space. Slowly and steadily, Taylor said, he sees agriculture companies moving forward to embrace change and new innovation.